In lieu of flowers memorial donations may be made to help the family and left at the funeal home. 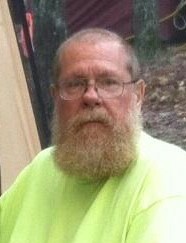 Charles Phillip Warrick, age 65, of El Dorado Springs, Missouri, passed away in Arkansas on Saturday afternoon, October 19, 2013. Charles was born November 10, 1947, at Columbus OH, the son of Charles Warrick and Francis (Moore) Warrick. Charles graduated from Romana High School in Southern California, and Michigan State University with a Master in Music Performance. Charles was married to Barbara Elaine Sanders on March 3, 1979, in California. They were married eight years before Barbara’s passing on February 19, 1988. To this union two children were born. Charles had many hobbies throughout his life. One of them included being active in Boy Scouts of America where he was active in the local El Dorado Springs troop, Section leader, and Order of the Arrow Vigil Member. Another was his passion for playing in the city band where he played French Horn and Alto Horn. One of his most well known hobbies was his gunsmithing at Carl’s Gun shop for many years. He recently found a new family in the local Christian Motorcycle Association (CMA) which he dearly loved. He enjoyed going on rides whether it was rain or shine. He knew where all the good eating spots were and how to get there and how fast it was to get there. Many CMA members have lots of fond memories and stories to share about his antics and stories. He counted them all as friends and brothers, but treated most as his own children. His last week on this earth was spent in the company of those he considered family. Preceding him in death were his wife, Barbara Elaine Warrick; his parents Charles J. Warrick and Katherine Francis Warrick. Survivors include his two children: Durk E. Warrick and Shannah L. Warrick; his brother Michael Warrick and wife Charlene; and his sister Kathy Warrick. The family will receive friends at Bland-Hackleman Funeral Home on Friday, October 25, 2013, from 6:00 p.m. till 7:00 p.m. Funeral services for Charles Warrick will be held on Saturday, October 26, 2013, at 2:00 p.m. at the El Dorado Springs Church of God (Holiness) with viewing beginning at 1:00 p.m. Pastor Joe Trussell will officiate. Burial will follow in Love Cemetery under the direction of Bland-Hackleman Funeral Home.